If you’ve ever attended a trade show or a networking meeting, you’re probably familiar with the post-event drill. You go through your pockets, your purse, your suitcase, your laptop case and so on, plucking out random business cards, and placing them all in a temporary, disorganized pile. You make a promise to yourself that this time, you’ll go through the cards and diligently enter all the contact info into your favorite CRM application. But you never do. The business cards never get sorted, never make it into a database, and you end up losing contact with a number of important people you wanted to follow-up with. Though traditional business cards still have some value and most businesspeople continue to religiously hand them out, there are now much better ways to exchange your information with your business contacts. Here are three creative business card alternatives that can make your business networking more efficient, effective and fun! If you’re of a certain age, you may sheepishly recall doing “The Bump,” or more recently, the tried-and-true fist bump. Well, the mobile app “Bump,” from Bump Technologies, is doing its part to make modern networking a contact sport. 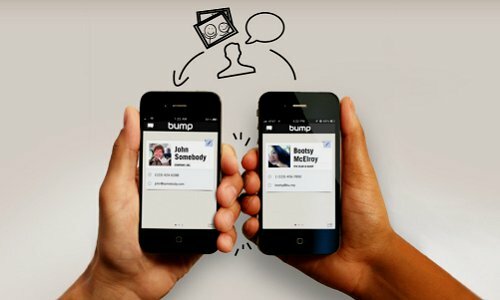 Bump allows anyone who’s installed the app to exchange contact information with anyone else running the application simply by bumping their smartphones together. In any large networking event, chances are pretty good you’ll encounter at least some attendees who are also using Bump. With over 75 million downloads, it’s one of the most popular contact information swapping apps out there. You can also swap photos with Bump, which a traditional business card cannot do. This can be a great way to provide visual context with the contact information you get from your networking counterpart. In other words, when you get home and go through your Bump contact list, you’ll actually know why you exchanged your information with the people that you did! The basic Bump app is free. It’s available for iPhone, iPod, iPad, and Android, and according to the provider it “works cross-platform between them all”. 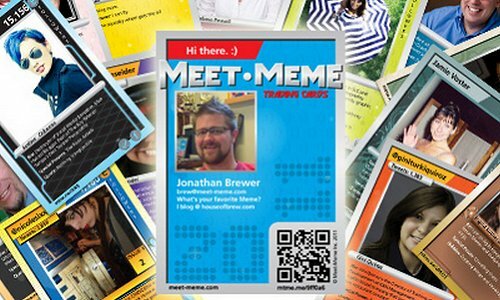 Meet-Meme personal trading cards are the perfect marriage between offline business cards and online, sharable contact information. On top of all that, they’re really cool! When you create an account on Meet-Meme, you enter a variety of contact information with links that get printed on a physical trading card. The card can contain any information you’d like, including a text-based bio and references to your social media outposts. This innovative and fun format provides a foolproof way to break the ice with potential networking contacts. It will definitely stand out among other more traditional business cards at your average trade show or event. You can make your card interactive by including a QR Code that links to any site you’d like. Meet-Meme provides a mobile-enabled website that you can easily configure if your own website is not optimized for mobile devices. There are various pricing plans available, depending on how many cards you’d like printed. Currently, the cards are available in Canada and the U.S. only. Although the business cards from Moo are not electronically interactive, they are far from traditional. 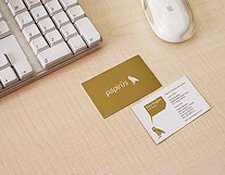 Moo’s print-on-demand process allows people to upload any number of personalized images to create a set of business cards where each individual card is unique. The Moo “Inspiration Gallery” highlights some creative applications for these individually customized cards. For example, photographers display their entire portfolios with cards laid out in a grid and retail businesses create unique cards for the most popular items in their inventories. Moo has even partnered with Facebook so that you can create business cards from your Facebook Timeline cover photo. To access this feature, click the “About” link underneath your Facebook cover photo. Next, click the business card icon in the “Contact Info” section of your Facebook Profile and click the “Print Cards” link from Moo.com. 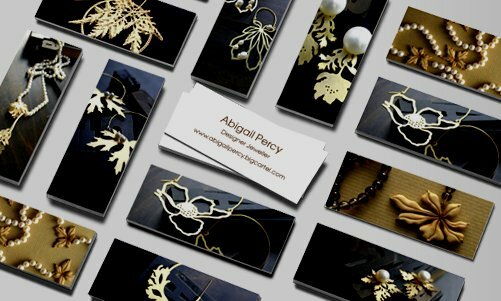 Follow the instructions to create a unique set of business cards that will likely create a lot of buzz at your next networking event! Do you still hand out traditional business cards? Know of any cool alternatives? Let us know in the comments below.